Karnic announces their decision to undertake the management and general administration of the Spanish market directly from the factory headquarters in Cyprus. The intention of the company is to work with exclusive importers in Spain to cover the various regions of the country. 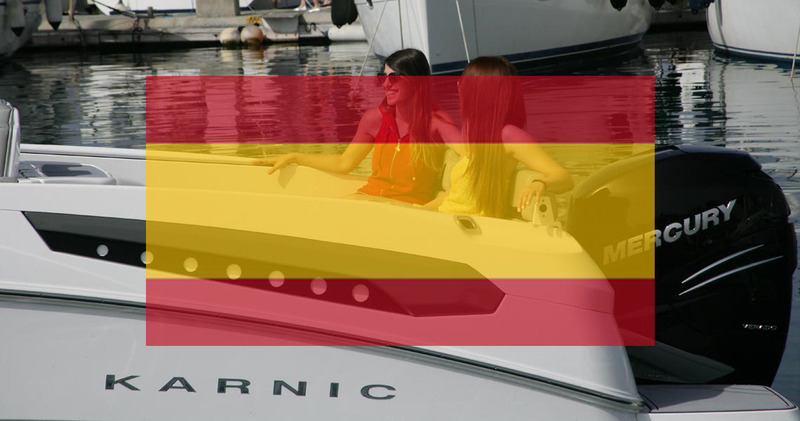 This means that no country importer, distributor or other intermediate person will be used and all marketing, advertising, promotion and participation to boat shows will be organised by Karnic in Cyprus. KARNIC anunció su decisión de llevar a cabo la gestión y la administración general del mercado español directamente desde la sede de la fábrica en Chipre. La intención de la empresa es trabajar con importadores exclusivos en España para cubrir las diferentes regiones del país. Esto significa que ningún importador del país, distribuidor u otra persona intermedia será utilizado y todo marketing, publicidad, promoción y participación en espectáculos barco organizará Karnic en Chipre.